The Elephant Coast of South Africa is some of the country’s wildest sea frontage north of the Dolphin Coast. It’s typical of what one thinks when one imagines Africa – big game country – with the added bonus of a tropical coastline protected all the way to Mozambique by the iSimangaliso Wetland Park (including Lake St Lucia, Charter’s Creek, False Bay Park, Cape Vidal, Sodwana Bay, Mkhuze Game Reserve, Lake Sibaya and Kosi Bay). Once known simply as Maputaland the Elephant Coast South Africa remains a Zulu stronghold. It’s a mystically imbued, legendary wash of ancestral African land where traditional life continues, and Jacob Zuma built his infamous house. Closer to the border with Mozambique is a different people, the local Thembe community, with their ancient fish-traps and slower pace of life. Leatherback turtles come here every year to lay their eggs. 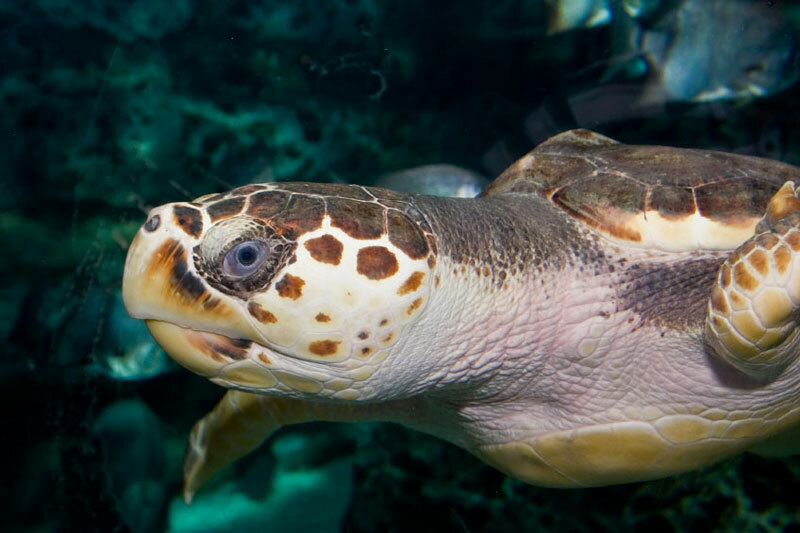 Combine the attraction of the country’s oldest game reserve, a birdlife second to none, kilometres of pristine beach, and some of the best snorkelling in the country and you’ve an untamed wilderness at your fingertips that leaves you spoilt for choice. 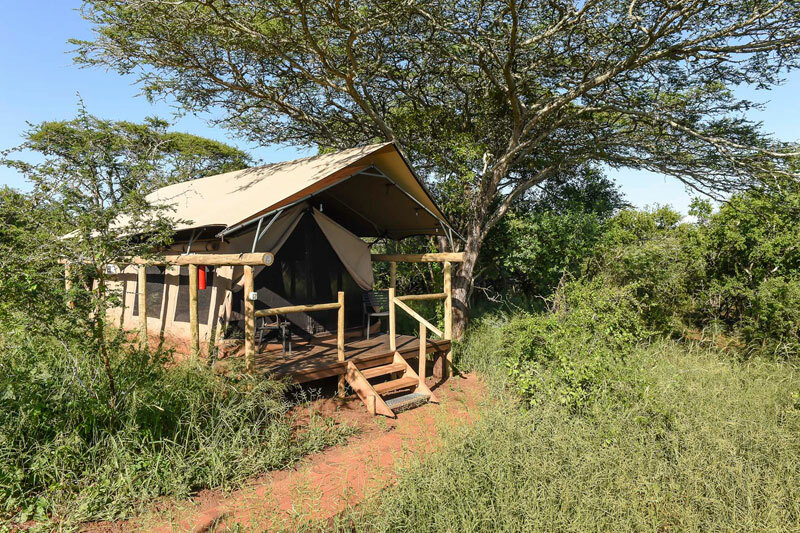 This modern, funky rendition of a tented camp in the uKuwela Wildlife Conservancy, just outside Hluhluwe, will leave you surrounded by bushveld with a main lodge view to drool over and access to a waterhole, game drives, game walks and camp fires under the stars. This 16-bed lodge lies in the wilderness of the World Heritage Park on the edge of a river estuary and beach. 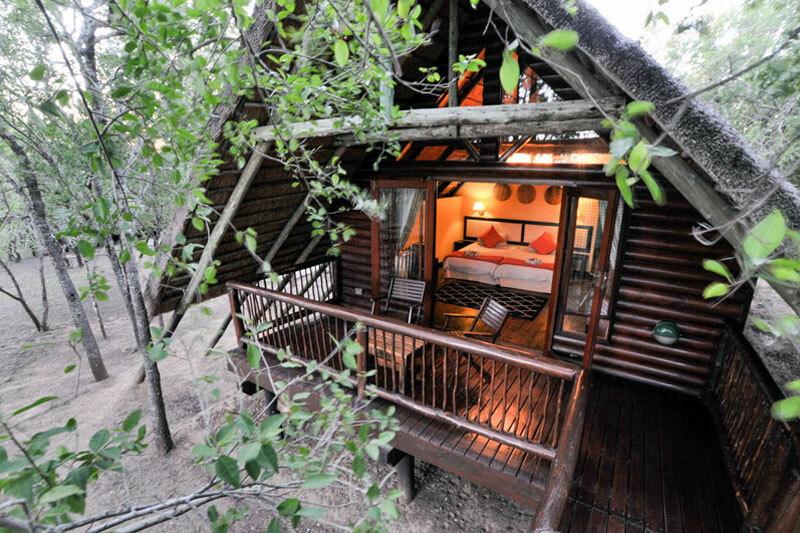 The thatched bush suites are hidden in amongst the sand forest under a canopy of shade trees. 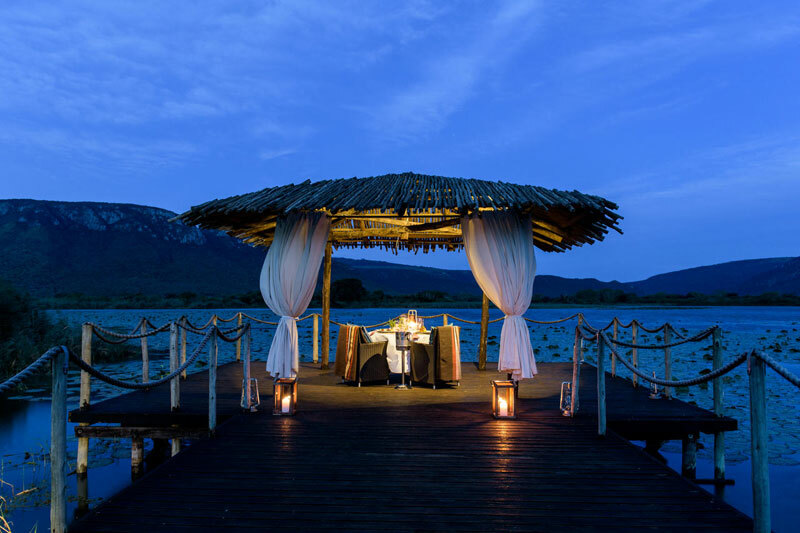 It’s romantic wooden walls, mosquito nets and surrounding forest gives it a romance all its own. Another World Heritage Site gem, it doesn’t come better than this coastal dune forest hideaway set above a private beach. This is Robinson Crusoe meets traditional Thonga fishing village and you won’t have to look far for inspiration and romance. When it comes to tropical beach holidays, the kind you only dream about, this is it! 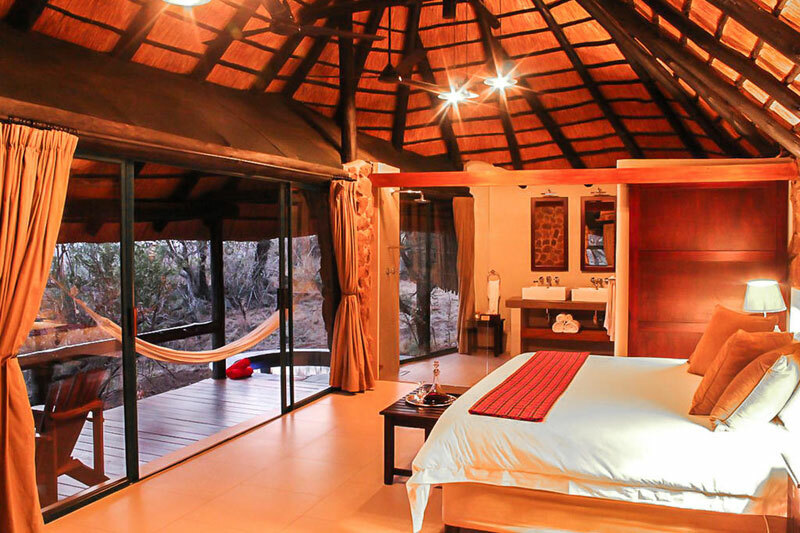 We’re not going to have to do much of a sales job on this newly constructed contemporary lodge, its 18 rooms perched on a ridge with incredible views out over the 96 000 indigenous game reserve – just go and take a look at the pics! 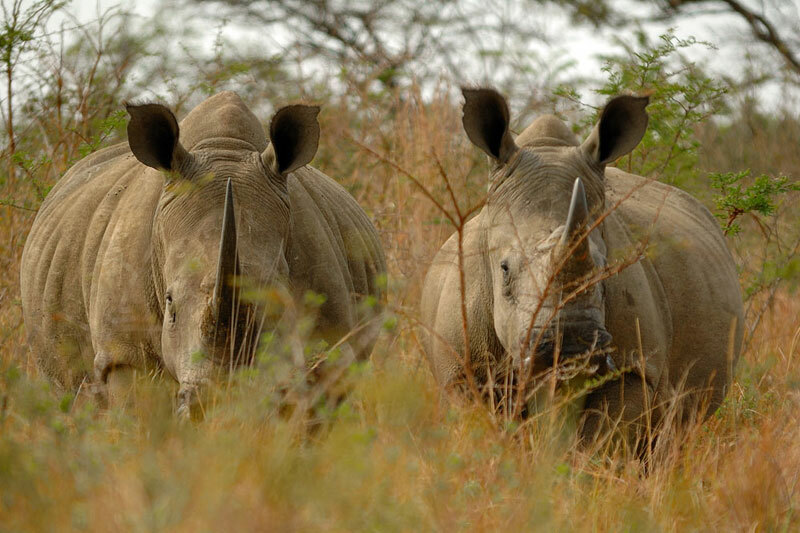 And you’re perfectly placed for game viewing, visits to iSimangaliso, bird watching, or simply drinking in the views. One of the most romantic Places to Stay on the Elephant Coast, the thatched tree rooms set on stilts in amongst a forest of fever trees you’re right in the heart of the bush at Ubizane Wildlife Reserve with the sound of wildlife, the rustling of trees and the cool of the forest enough to send you into relaxation mode. 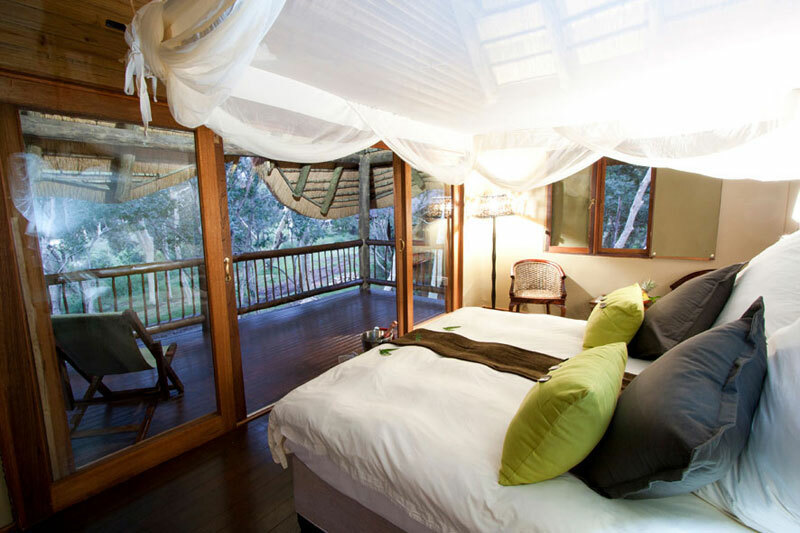 Your private viewing deck overlooks the forest and Mzinene River. For those on a budget, this remote self-catering option, overlooking the sand forest and lake of the Kosi Bay Nature Reserve, is a find and a perfect base from which to explore Kosi Bay mouth. There’s a communal kitchen and a splash pool. 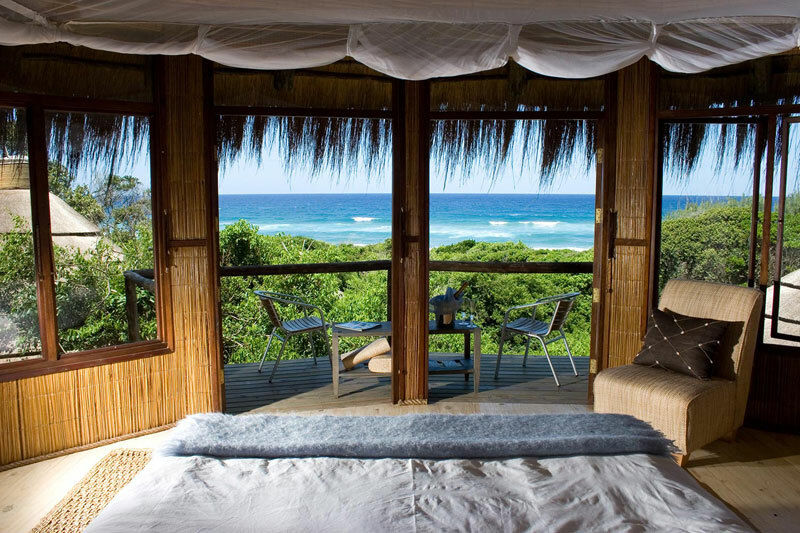 A breath of fresh air is this lodge on the western boundary of the iSimangaliso Wetland Park, with sweeping views over the Hluhluwe River floodplain and False Bay. Twelve thatched chalets nestle around the lodge in the shade of an indigenous forest, in amongst which you may spot the odd red duiker or nyala. 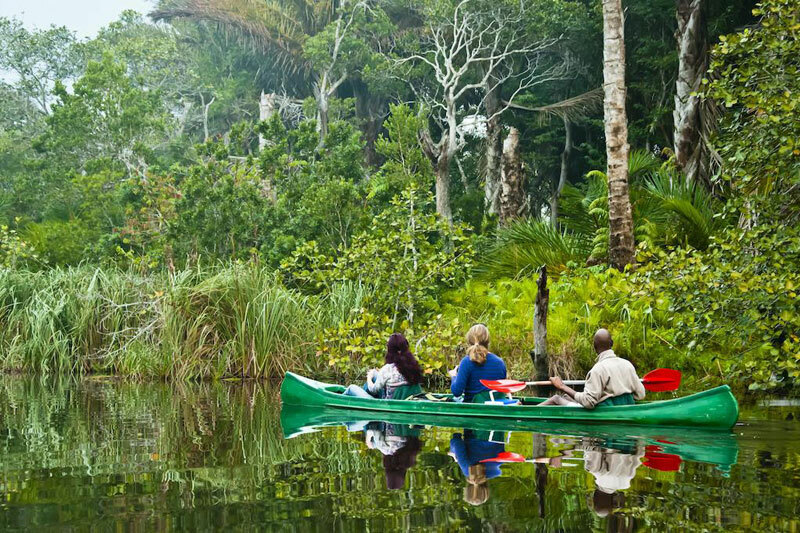 A highlight is the mountain bike trails and guided sand forest hikes. Kingfisher Bush Lodge in Manguzi offers reasonably priced safari tents and luxury tented chalets close to Kosi Bay and its 700 year-old Tsonga fish traps, pristine beaches, fishing opportunities and access to Tembie Elephant Park. Perfect. 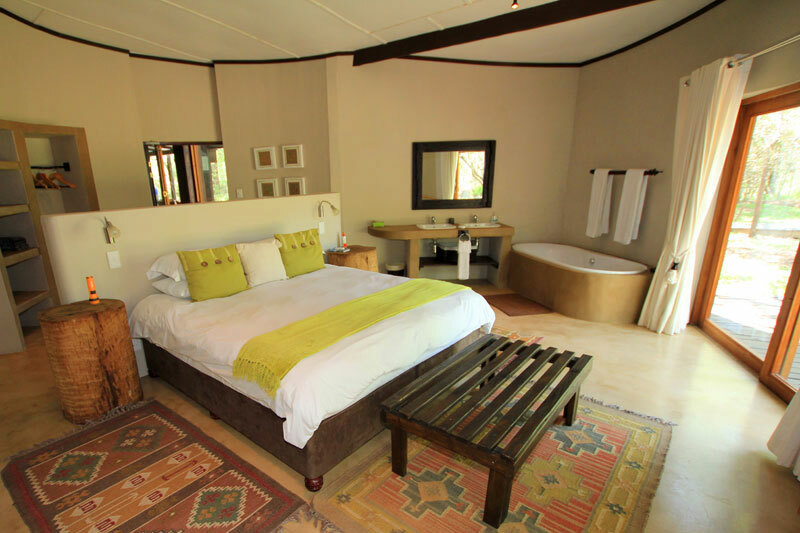 A self-catering lodge awaits you on the edge of Phinda Game Reserve and iSimangaliso Wetland Park for up to eight people. 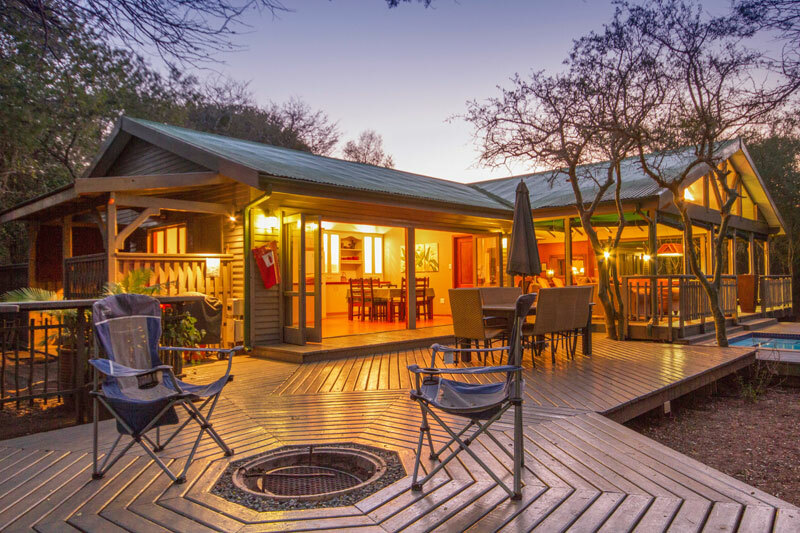 Spend your nights on the fire pit deck beneath the skies, your days on self-guided walking trails spotting birds and game, or visiting the Hluhluwe Imfolozi Park. Choose from three fully serviced private bush ‘lodges’ in the midst of 170 hectares of indigenous sand forest. 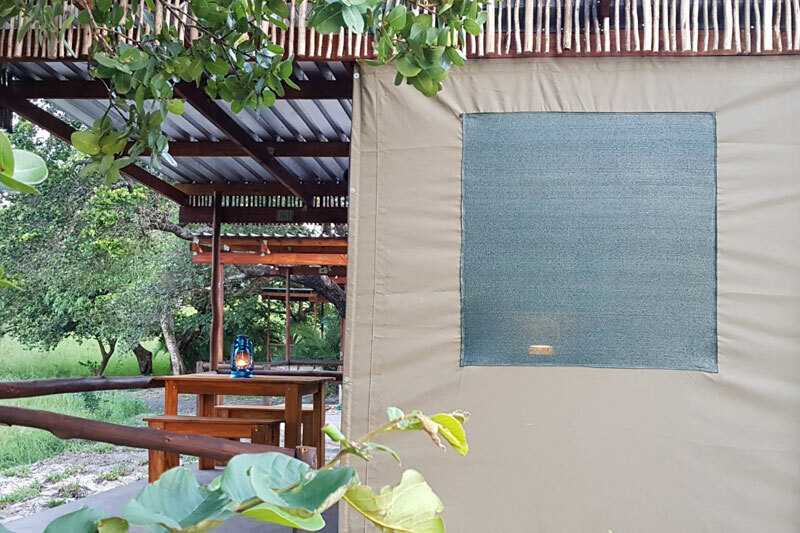 One lodge overlooks a wetland, one has its own plunge pool and all allow both bush and beach experiences on your doorstep, a stone’s throw from the Hluhluwe Imfolozi Park and within easy access of Sodwana Bay, Cape Vidal and other awesome experiences. 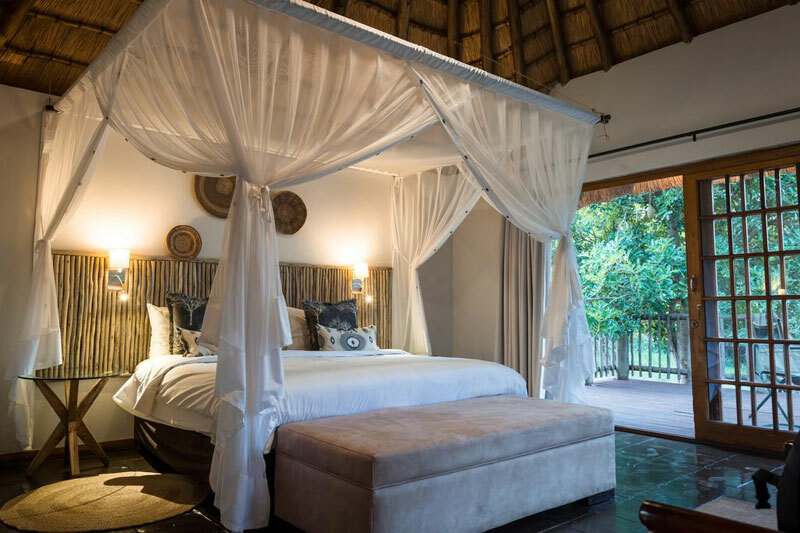 Set up in the wild secluded hills of the Zululand Rhino Reserve, overlooking unspoilt bushveld and riverine forests, the Umsunduze River and Lebombo Mountains below and in the near distance, it is the views that win hands down, with the luxury stone and thatch chalets not far behind. 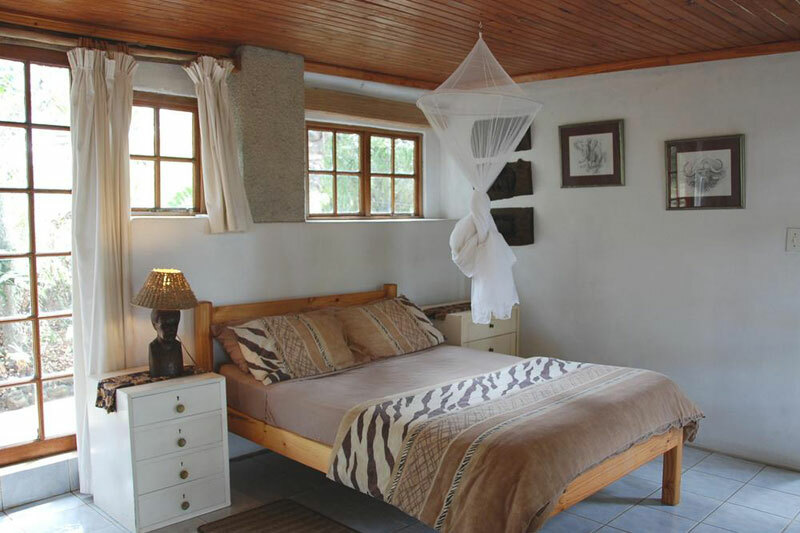 This tasteful guesthouse borders the indigenous forest in the village of St Lucia, surrounded by the iSimangaliso Wetland Park – hippos wander the streets at night. Sandpiper is within walking distance of town and offers five comfortable, en-suite and air-conditioned double rooms and a family room. 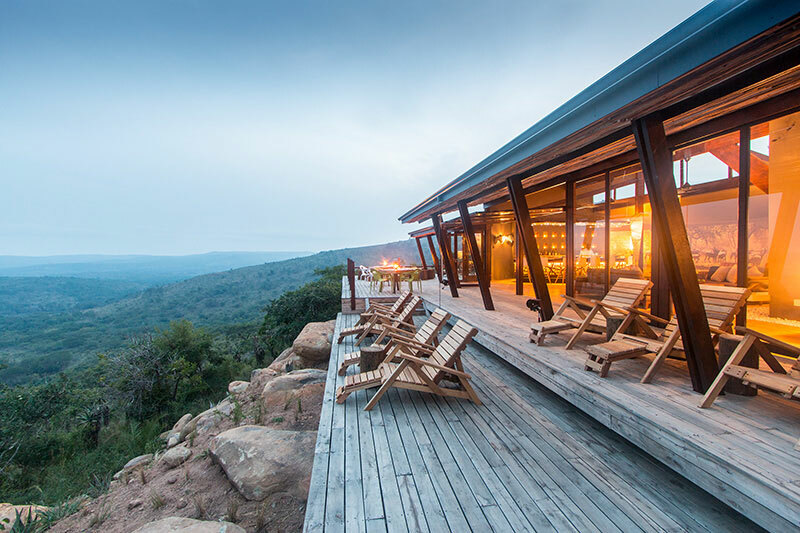 A lodge in the shadow of the Lebombo Mountains on a privately-owned game reserve with direct access to black and white rhino, elephant, leopard and herds of antelope and zebra. Choose from two-bed log cabins with iron-stone flooring, or luxury double or twin rooms each with its own entrance and verandah. 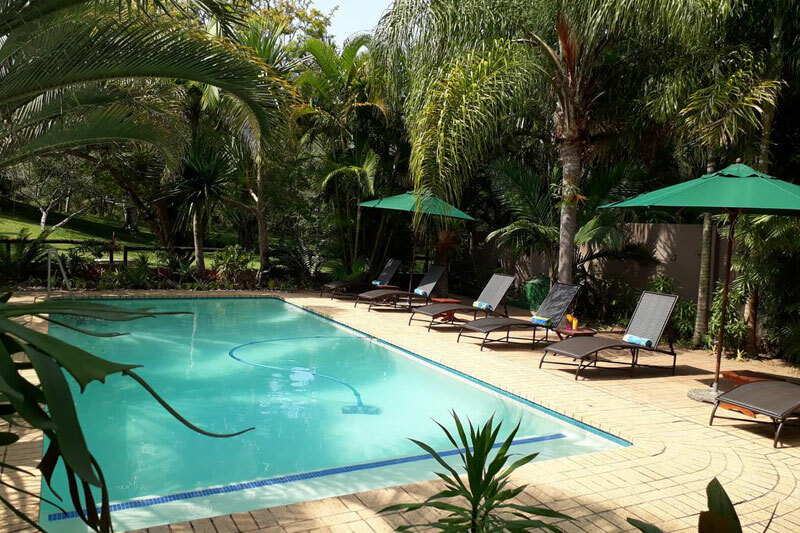 It’s difficult not to fall in-love with this intimate hotel and its garden patio rooms, or superior rooms overlooking the water and the Lebombo Mountains. You’re perfectly placed to explore several game and coastal reserves (self-drive or onsite safari tours) or make use of the hotel’s spa. Which is Your Favourite of our Best Places to Stay on the Elephant Coast?